Food, fun and crime prevention! 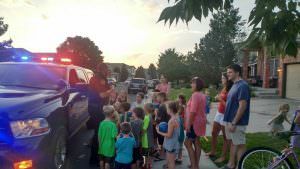 National Night Out is celebrated with neighborhood block parties across America, including Douglas County on August 6, 2019 from 6-9 p.m. The block parties give people a chance to meet their neighbors and local law enforcement and emergency service providers. Together, we can reduce crime and keep this a great, safe place to live. The Sheriff’s Office will do our very best to have special guest visit each block party, such as 9-1-1 dispatchers, Safety Pup, K-9, Mounted Patrol, SWAT, and many others. You will need to contact the local fire departments separately for a requested visit. If you would like to invite representatives to your National Night Out event, please complete the sign-up form below. All DCSO representatives follow the National Night Out time which is 6-9 p.m. Please plan your events according to that time, as that is when DCSO representatives would be arriving. PLEASE NOTE: The deadline to sign up is July 15, 2019. Any submission received after July 15 will not be scheduled. Should you have additional questions please contact the Sheriff’s Office at 303-660-7544. 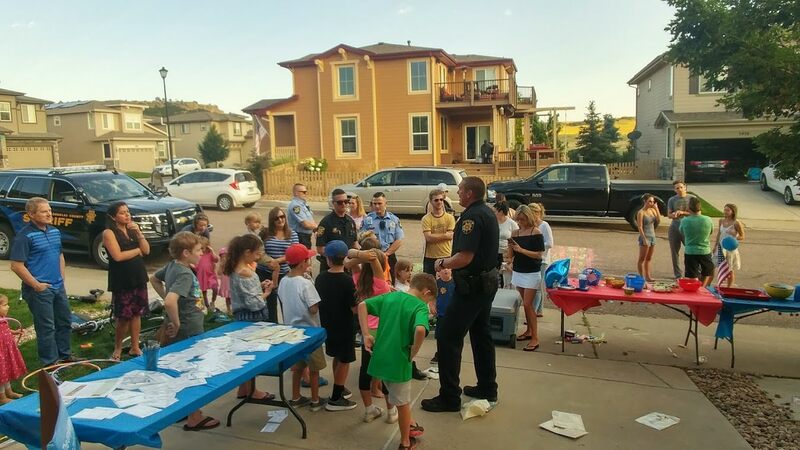 Before heading to your block party, remember to practice good crime prevention by closing your garage doors, locking doors and turning on porch lights.